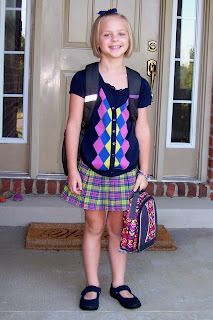 Back to School with my Smarties! 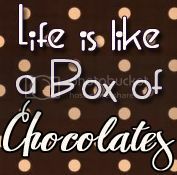 Well my "Smarties" are back in school now....and for one of them, her school supply box includes more than pencils and glue sticks. 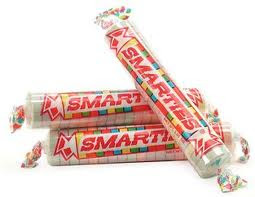 It includes SMARTIES! ..... trying on new shoes! ...meeting your new teacher and making new friends! 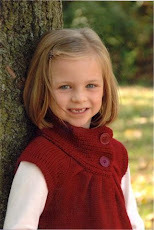 ...carefully planning her visits to the clinic for blood sugar checks around her new schedule. ...planning school lunches and preparing carbohydrate counts for them. ...educating new teachers and staff to recognize high and low blood sugar symptoms. ...training for emergency Glucagon administration. Lucky for me, I am not alone. 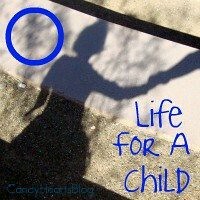 I have found several other Parents of Children With Diabetes, who have shared their Back to School ideas and resources. Some of the most helpful back to school ideas came to me from Beta Buddies, who shared all of her homemade documents for "Taking D to School." I also have read, and re-read Sugar's 504 Plan at Candy Hearts. Heidi at D-Tales shared a fantastic letter that she shares with the families of all of her T1 son's classmates at the beginning of each school year. I used this as a template for creating our own letter to Ally's classmates and their families. After reading a book to the class and speaking with the second graders about diabetes, I sent the letter home. I had so many people - some whom I had never met before - stop me at Open House and tell me how great the letter was and that they really appreciated the information. Check out Heidi's letter here. I realize that everyone is probably back in school by now. But I wanted to introduce you to my new "tabs." Also, the sad truth is that there may be someone new to the "Parents of D" group any time, as so many more children are diagnosed each day. I Hope I can be as resourceful to them as so many of you have been to me! 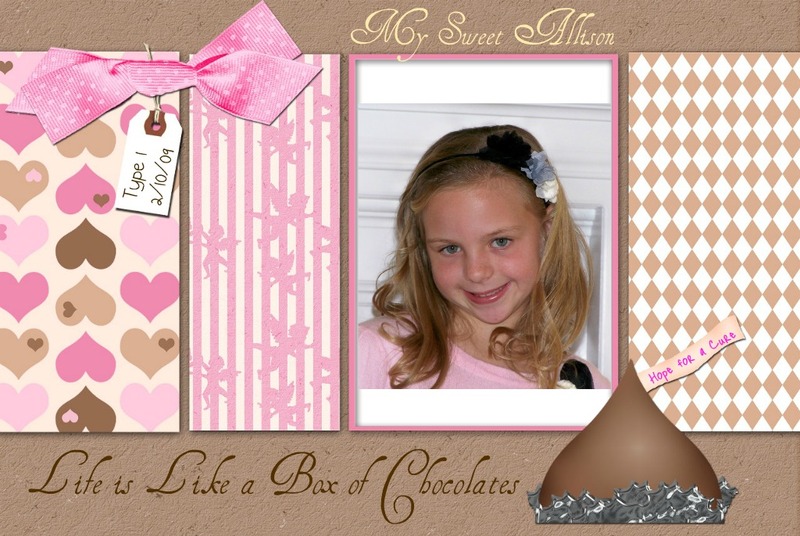 Have you seen the sweet prize that Hallie is giving away at The Princess and The Pump? 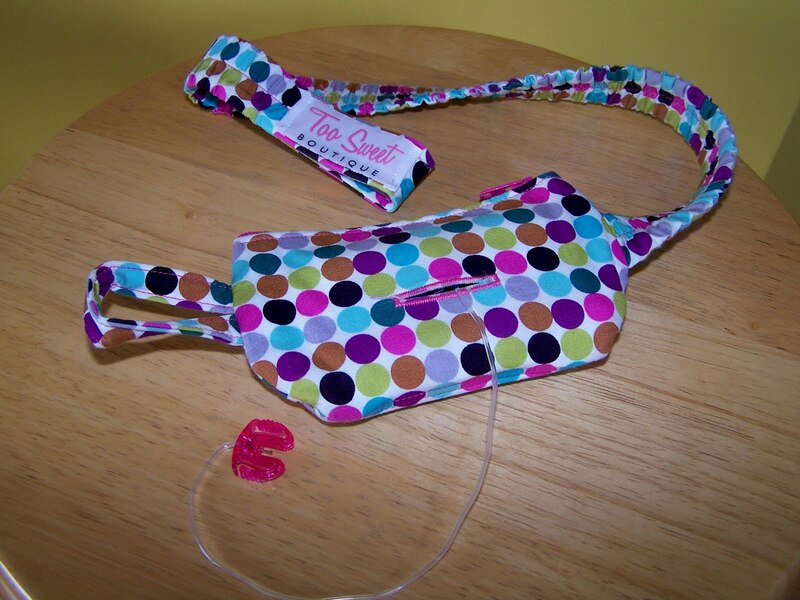 It's a pump pouch from Too Sweet Boutique. They are oh so fashionable and too cute! Don't forget to skip over to The Princess and The Pump to register to win one of these Too Sweet pouches before Friday, September 3. It was a water bottle fiasco today! I asked Ally's teacher that she be allowed to keep a water bottle in the classroom in case she is thirsty so that she does not have to go all the way down the looonnnggg hallway to the drinking fountain. She was happy to oblige. She did, however, ask that she keep it in her cubby (version of a locker in the classroom) so that water did not get "everywhere." So that was the plan. I carefully chose a water bottle that I thought would withstand the bumps and bruises of a 2nd grader. Sent it to school. She came back home with it. WHAT? Turns out that after filling the water bottle, Ally did not properly screw the lid on. Now you see where this is going...and I direct you back to the teachers comment about "not getting water everywhere." AWESOME! Next she enlists help from the teacher (who I am only assuming is not at all pleased with this situation) to clean up the water spill. I'm guessing that from her description she didn't drink much of the water during class...as it appears that a Niagara Falls effect was happening at the cubbies! Oh my! AWESOME! The water was cleaned up. And then they discovered that her brand new Math workbook (which I only had to pay $25 for) was now ruined. Not salvageable! 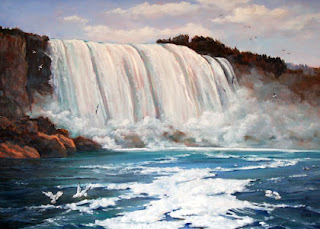 One more time...AWESOME!!!!!!! 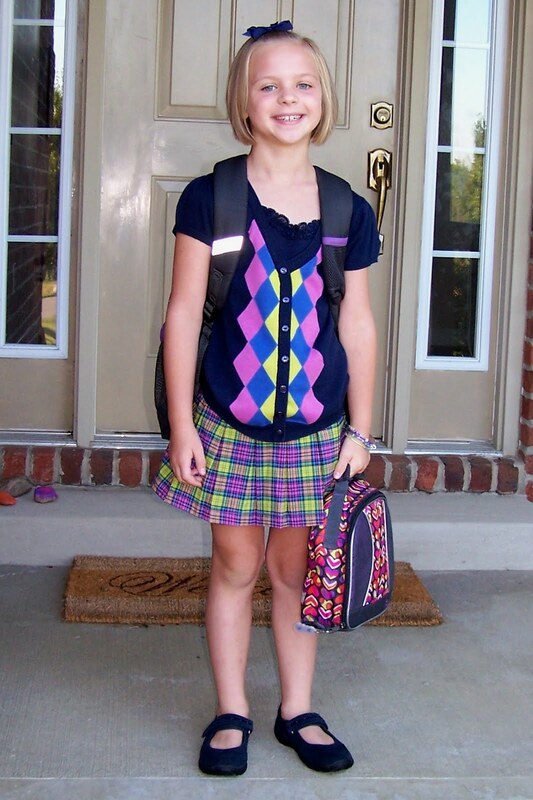 Her teacher told her she'd have to see IF she could find her a new math book. Then told her to take the water bottle home. 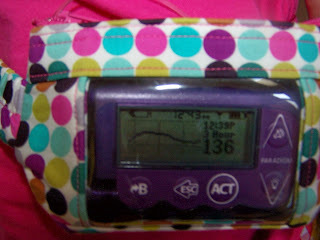 Ally's BG shoots up when she is nervous, I checked her CGM...there was a bit of a spike right about the end of the day. Poor thing. I feel bad for her, even though it was her carelessness that caused it. So now my question to you....do you send a water bottle to school with your T1 child? Do you have one that you really love? Better yet, do you have one that is spill-proof???!?!?!?! Ah yes, and 2nd grader friendly too? Please share!!! Yesterday was the first day of school for my girls. 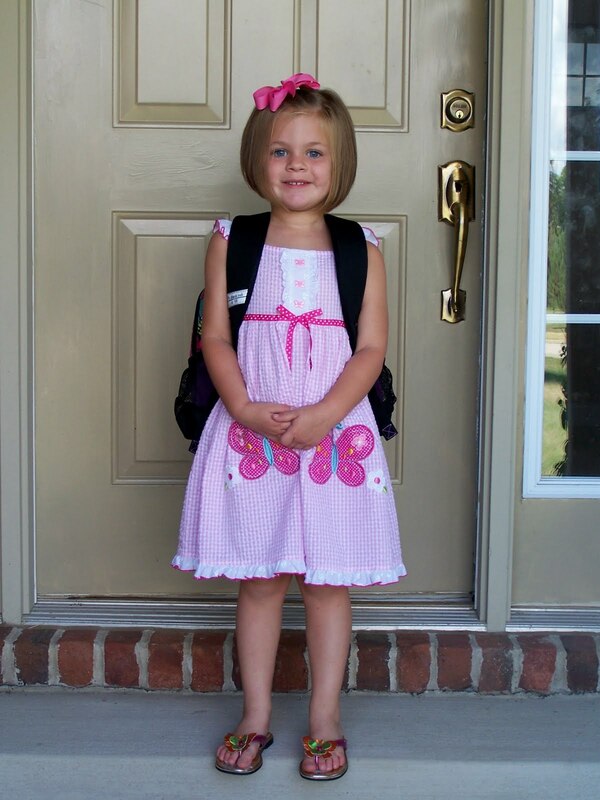 And it was Jessi's first day of Kindergarten. We have a tradition in our house. I always read the story of The Kissing Hand by Audrey Penn to my girls before they go back to school. In the story, Chester Raccoon doesn't want to go to school. He wants to stay home with his mommy. While neither of my girls seemed to be like Chester - they were both so excited about the first day of school, I did feel sad...wishing I could just keep them home with me! Mrs. Raccoon kisses Chester in the center of his hand and tells him that whenever he feels lonely to just press his hand to his cheek and think 'Mommy loves you. Mommy loves you.' Chester knew that his mother's love would go with him wherever he went. 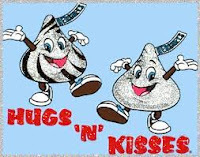 I put a kiss in each of my girls' hands as they headed off to school, hoping that they too would think 'Mommy loves me. Mommy loves me.' if they felt lonely or scared. I hope that my kissing hand is enough to ease any of their fears...but I don't think it's enough to ease mine. I also said some prayers as I sent them on their way. Please God keep them safe. Please give the staff at Ally's school the strength and knowledge to keep her safe for every.single.minute. that she is away from me...All 480 of them (minutes, that is)! Perfectly Practical and Way Too Sweet! Too Sweet! Check out this Perfectly Clear Pouch from Too Sweet Boutique. 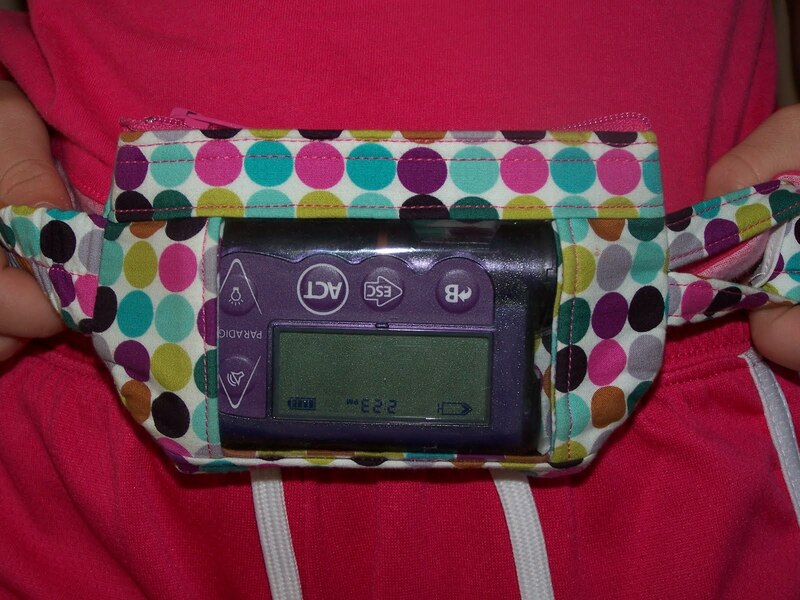 Isn't Ally's new pump pouch too cute? Since Ally started using her CGM (What is CGM, you say? Click here to read all about it.) a little over a week ago, we can't help ourselves...we are checking the BG (blood glucose) reading on her pump ALL.THE.TIME. I will save the story of how neurotic we have become since beginning the CGM for another time. Too cool! We can view the pump screen right through the clear pouch. 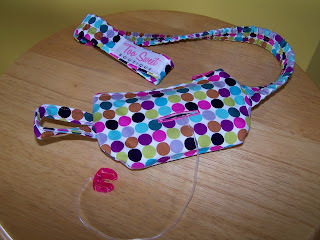 Today I wanted to share these absolutely wonderful insulin pump pouches that I found at Too Sweet Boutique. Not only are they just too fashionable; they are too practical. The Perfectly Clear Pump Pouch that Ally is wearing is perfect for CGM users. Ally loves that she can give herself an insulin bolus without even taking the pump out of the pouch. When I ordered our first clear pouch, I was not sure how durable the plastic would be...Would the plastic be clear enough? Would I really be able to read the pump screen through the plastic? Would we be able to use the pump and perform all its functions without removing it from the pouch? Well, let me tell you...I have not had trouble reading the screen even once (and believe me, I've been reading it A LOT!) AND...It is very easy to push the buttons right through the clear pouch. Sure makes those middle of the night checks easier, too. If needed, I can check basals, bolus for a correction and more without waking Ally up while trying to maneuver her pump out of the pouch. Too Practical! Button hole on the back is great for keeping the tubing in the pouch. Another thing that is too practical about this pouch is that you can request a button hole on the back of the pouch. We LOVE threading her pump tubing through the button hole for two reasons. First, it really helps to keep the extra tubing in the pouch instead of floating all over the place! Second, the button hole in the back allows you to wear the pump upside down. Ally loves this! When she looks down the numbers are not upside down to her. Yes it is supposed to be upside down! We are so in love with this Perfectly Clear Pump Pouch now, that even if we were not using the CGM, I would prefer that Ally use the clear pouch all the time. I think she does too! I have been talking about CGM for several weeks, maybe more. My family and friends may think that I'm speaking another language. I guess I am...so here's the translation from the language of diabetes for you. And thank you for wanting to understand our new language! 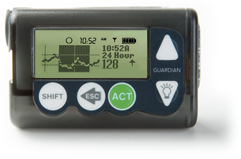 CGM stands for Continuous Glucose Monitoring. We currently monitor Ally's blood glucose levels by pricking her fingers a minimum of 8 times per day. We prick her finger and use her blood glucose meter to check levels when she wakes up, before each meal or snack, before/after exercise, before bathtime, before bed, in the middle of the night, whenever she looks pale, acts funny, says she's hungry... Sounds like we should have all the hours in the day covered doesn't it? Well, believe it or not there is a lot of time in between these checks that we have no idea about. Glucose levels in the body are constantly changing. Spot checking (by pricking her finger) only tells us what her blood glucose level is at that moment. It's the in between stuff that we want to know more about. Are we missing highs or lows in that time? I know that her levels are like a roller coaster of ups and downs...as different things affect blood glucose levels - foods and how quickly those carbs are broken down into sugar, exercise, anxiety, excitement, illness...the list goes on. But our goal is to try to keep those glucose levels within a safe range, safe for the moment and ultimately safe for her lifelong health. The Continuous Glucose Monitoring system (also known as MiniLink) includes a sensor and transmitter which can provide continuous glucose measurements to help you control your glucose levels better. The sensor measures the glucose levels in the fluid under your skin. (Blood Glucose Meters measure the glucose levels in the blood. )** The transmitter takes electronic signals generated by the glucose sensor and sends them by radio frequency to the pump. So, this is what Ally now wears (not her belly in the photo!). A pump connected to her with a tube and small cannula inserted under the skin for delivering insulin. 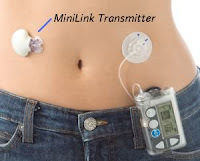 Also a sensor inserted under the skin with the MiniLink Transmitter connected to it which sends glucose readings to the pump. However, Ally's sites are located on her bum, not on her belly as she does not have enough fat there. We have the Medtronics MiniMed Revel insulin pump. The wonderful part about the MiniLink is that Medtronic integrates the CGM with the insulin pump. Some of the other CGM systems require a separate receiver, which we do not need as our pump functions as the receiver. However, I know several people who really LOVE their Dexcom CGM. 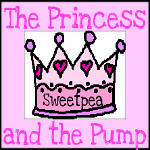 If you do not have a Medtronic pump, you should check out this post at The Princess and The Pump about their experience with Dexcom. With the CGM, the pump will display a five minute average of Ally's current blood glucose level, updating every 5 minutes. It will also show a trend arrow, pointing up if blood sugar levels are rising, and pointing down if blood sugar levels are dropping. Double arrows if it is a rapid rise or fall. We are hoping to catch lows and highs before they get to a dangerous level. 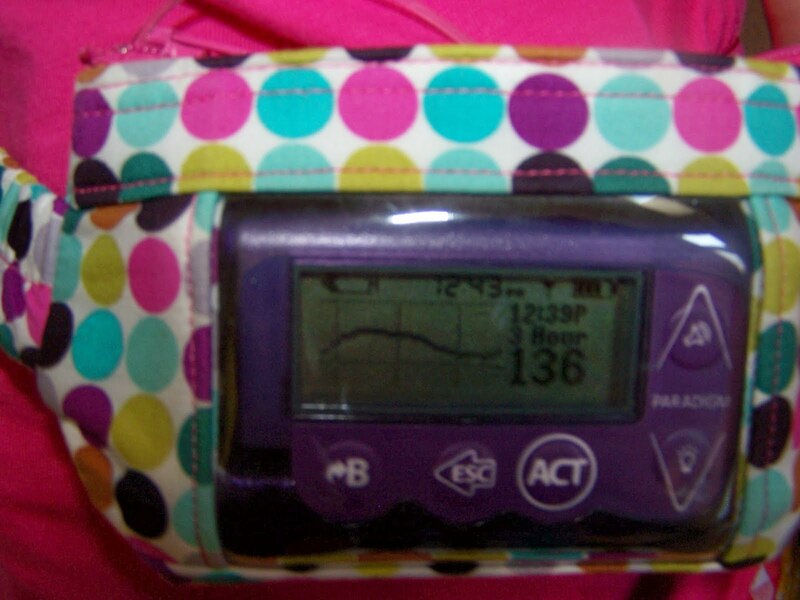 The CGM will also allow us to view a 3hour, 6hour or 24hour graph of her blood glucose readings right on her pump. This information will help us to understand how foods, exercise, insulin, etc change her glucose levels. Again, our goal is to reduce the risk of long-term health complications such as eye, nerve, heart, and kidney disease. Ally is all hooked up to her new pump and CGM. At this moment, we are obsessed with looking at the glucose readings constantly. Ally is GIDDY! 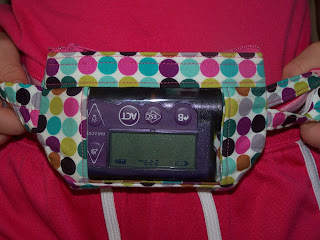 No matter what the number says, she will call out "Mom, my pump says I'm 197..hee hee...that's so cool!" **I do want to note that you cannot rely completely on the glucose level readings from the CGM. We still will need to do finger pricks and test blood glucose using the glucose meter - maybe a little less often though. Most of the time, glucose travels to your blood first and then to the fluid surrounding the cells in your tissue. Therefore, you must use BG meter readings before treating any low or administering any insulin.